After much wine and pasta, we went to bed that evening praying for good weather and the next morning we were greeted with lots of clouds but not a drop of rain was in sight! Hurrah! This made for perfect hiking weather as there was no burning sunshine to make us all hot and sweaty and the paths were no longer slippery and wet from the rain the day before. After hiking the Inca Trail last year I was all ready and prepared for a challenging trek but the route from Vernazza to the biggest village of Monterosso was super easy in comparison. In fact this was more like a strenuous walk and involved no huffing or puffing whatsoever. The 2-3 hour hike round the cliff edge above the bright turquoise sea, took us through forests, past trickling streams and waterfalls, over cobblestone bridges and along sheer drops. I’m not one for rushing things so we took our time and ambled slowly along, taking lots of photos and stopping often to appreciate the breathtaking views. Whenever we caught a glimpse of the tiny village of Vernazza in the distance it looked so far away. We couldn’t believe how far we had come in such a short time! We had brought lunch with us from the Lunch Box in Vernazza, a little deli serving all sorts of goodies to take away. 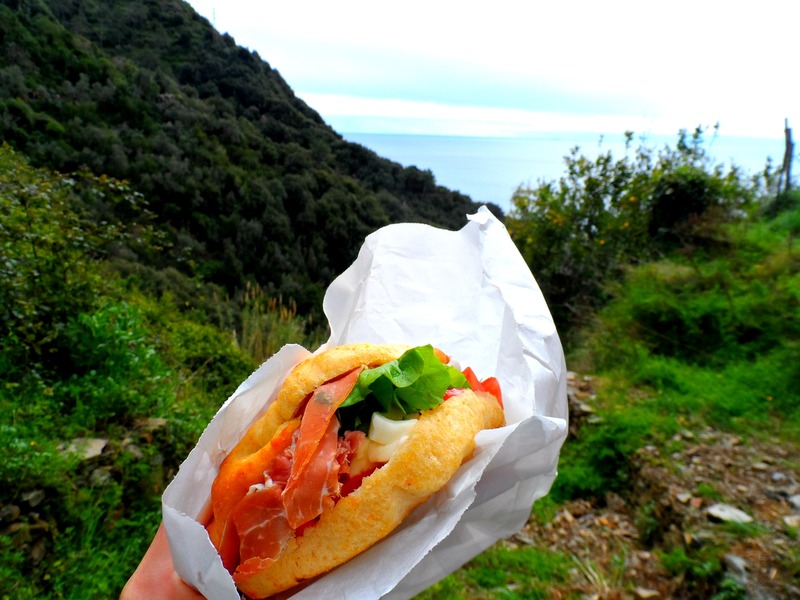 We ate our focaccia stuffed with mozzarella, prosciutto and salad, sitting on the edge of the cliff looking out over the green hillsides. About half way between the villages we came across some baskets, toys and food set up on the side of the rocks as a home for stray cats, so of course I had to stop for a while to make some new friends. 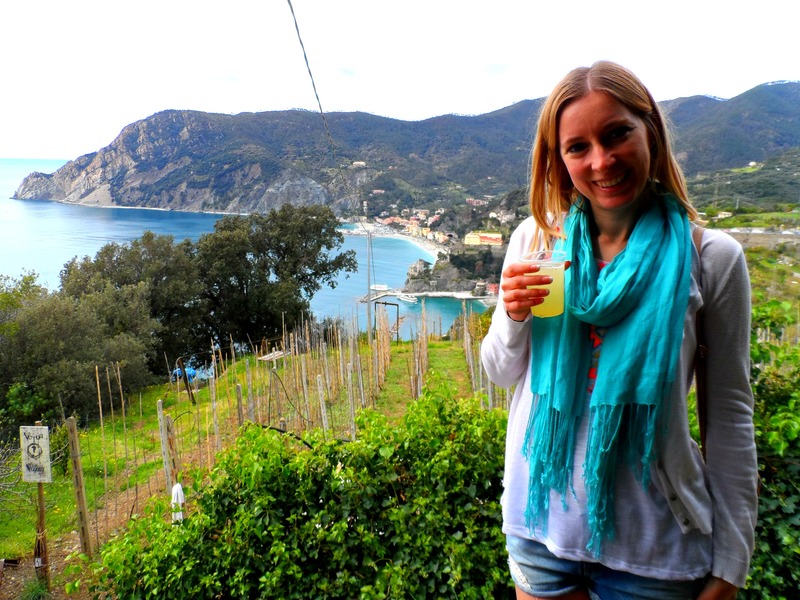 A while later we came across a little stall where a girl was selling fresh lemonade, and we sipped our refreshingly bitter drinks as we looked out at Monterosso where we would soon be. 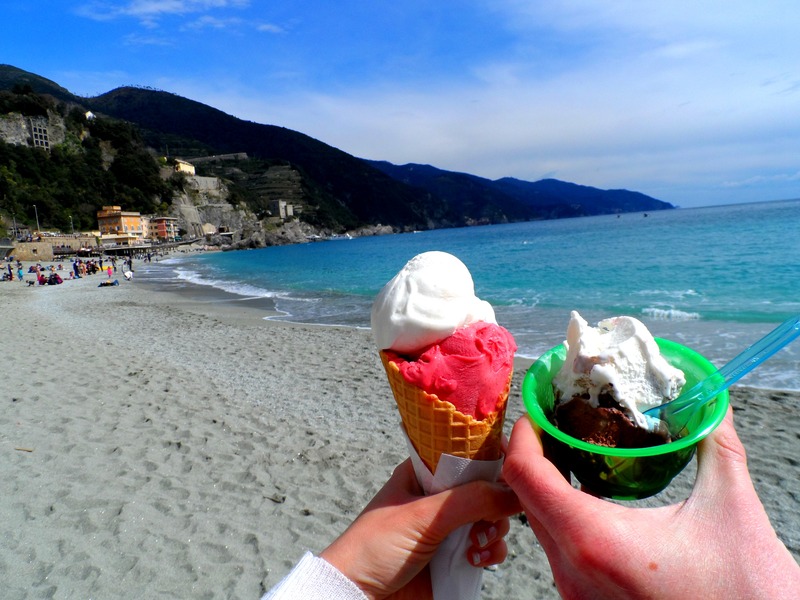 As we got closer towards the end of the hike, the sun started to appear which was perfect timing to enjoy some gelato on the beach just as we arrived in Monterosso. It’s really not a difficult hike but flip flops are not suitable. There are a lot of rocky paths and steps to climb and with the steep drop that often appeared down the side of the cliff you’ll want to be wearing shoes with a good grip. I didn’t have space to bring my big heavy hiking boots but Converse or trainers worked perfectly well for us. For families – please, oh please, do not take a buggy on the hike with you. We saw worn out dads lugging pushchairs up the steps and this was only at the very start of the hike. Seriously people! It may not be the toughest hike but it really isn’t suitable for buggies! Due to the floods a few years ago a lot of the hiking paths are still closed so check before you make any route plans. 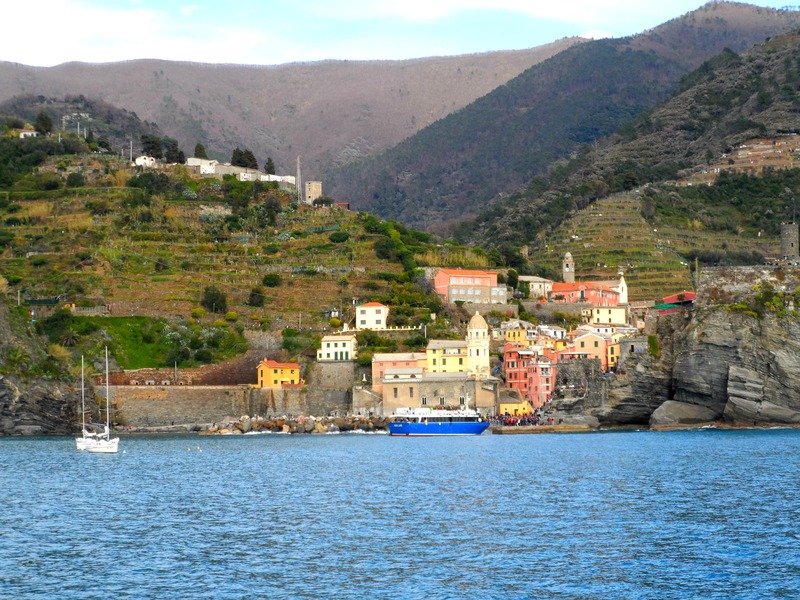 We loved the hike from Vernazza to Monterosso – it was less busy and there were far less steps to travel up than going in the opposite direction. For those who don’t fancy the hike, getting between the villages by train is an easy alternative. Each village has its own station and it’s only a couple of minutes travel between each. Grab a day ticket or a cheap single but make sure you check train times in advance as there are often only one or two an hour, and don’t forget to stamp your ticket in the little green machine before boarding. Another alternative mode of transport is the ferry which stops at every village and offers some great views from a different angle. 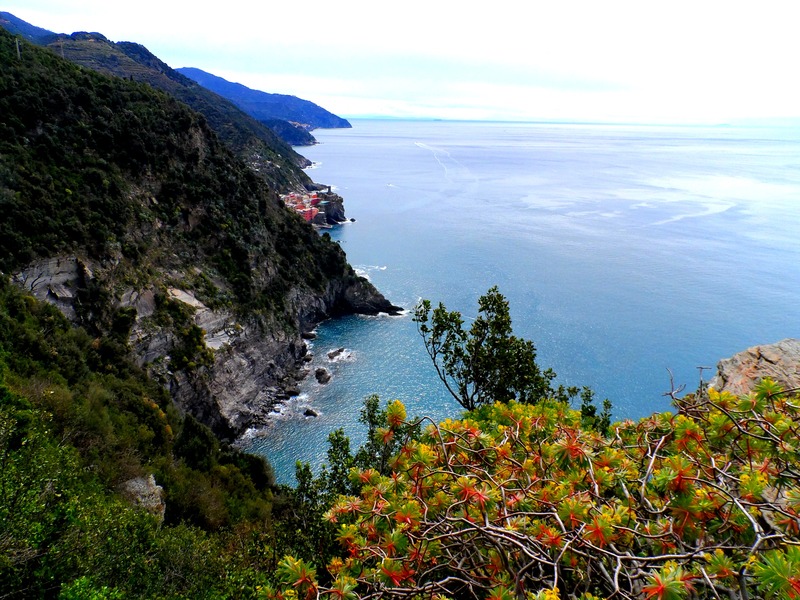 But for the most breathtaking views of this lovely part of the Italian coastline, hiking is by far the best way to explore. 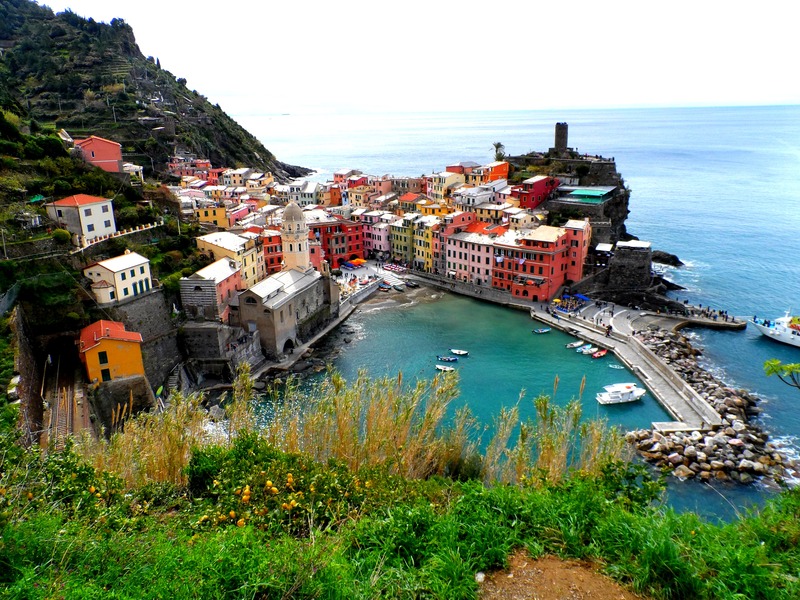 I’m definitely not a hiking girl though I do like a nice easy walk 😉 Cinque Terre looks so gorgeous, I’ve only really heard of it recently but I definitely want to go! Add it to your bucket list Mani! Loads of helpful tips Ayla! I was actually going to ask you about train passes – whether it works out more cost effective to buy singles or day tickets or whether you can get like 3 day passes etc. I’ve just bought a pair of Vans as my old trainers have no grip and I can’t tell you how hilarious Pumpkin thinks it is that I have inadvertently booked us onto a “hiking” holiday 😀 PS, I feel a bit nervous looking at that photo of you sitting at the edge of the bridge – was it a big drop down from there?! I bet the rain made all that colour even more saturated! Yes I would, dreams! We are taking a break this month from them, but heading to the wild north! Not quite strolling along Mediterranean, more battling the North Sea! Fantastic views! I do love a good scenic train ride so have got to make it to the Cinque Terre soon. No flip flops, this is a very important detail… I wear them most of the time! I’d recommend every sort of transport so that you can see the villages all from a different perspective. I could live in flip flops but unless you’re a mountain goat I wouldn’t recommend them for the hike even if it isn’t the toughest! 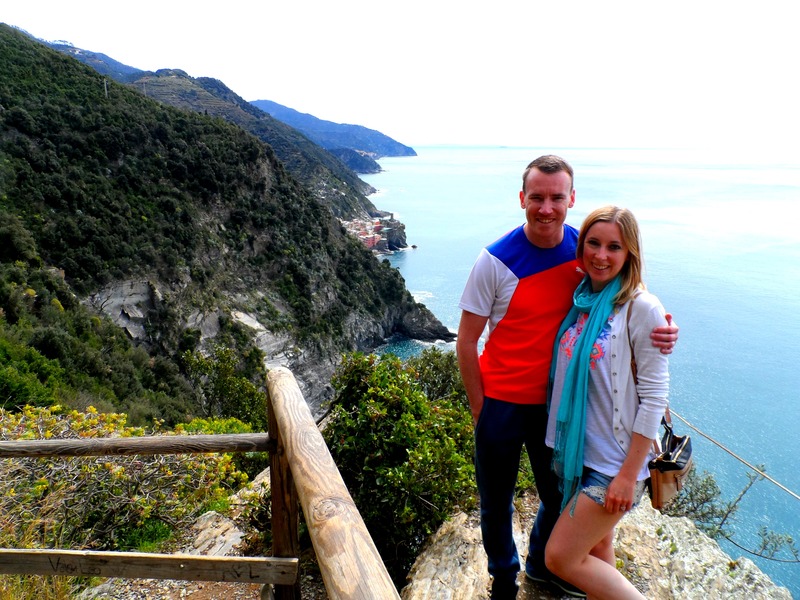 We did the opposite direction to you – and it was seeing beautiful Vernazza on the distance that kept us going! 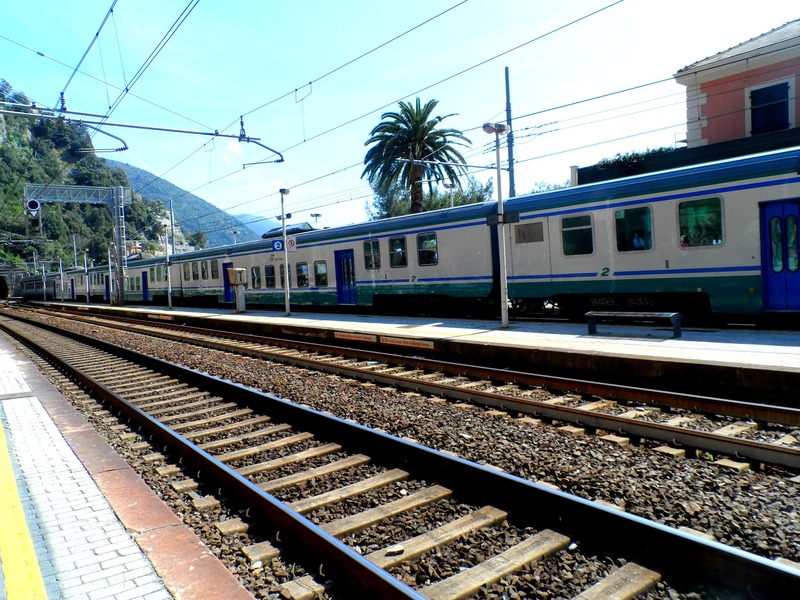 We were kind of forced into doing the hike as the local trains were on strike until after 5pm..as much as we loved our Monterosso base we wanted to get out and explore! All the steps were a little tough in places, but there was always opportunities to stop and get your breath back and admire the fabulous views. Loved this hike!